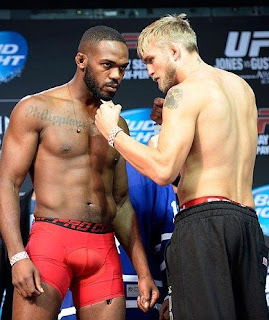 The fight that makes the most sense for Jones next is a rematch with Alexander Gustafsson. 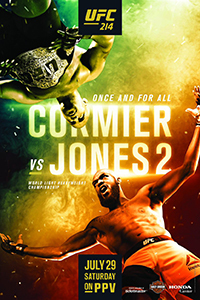 The first time these two met at UFC 165 they put on arguably the greatest title fight in UFC history, a back-and-forth war that Jones eventually won by decision. The rematch is a fight fans have been asking for since 2013, but it hasn’t happened yet because of Jones’ issues outside of the cage and Gustafsson’s inconsistent performances. But with Gustafsson coming off of a brutal knockout win over Glover Teixeira and Jones hopefully finally back on a regular fight schedule, it makes sense to finally do the rematch the MMA world has been waiting to see. 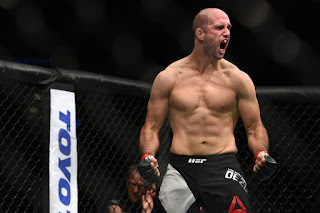 In a star-making performance, Oezdemir took Jimi Manuwa’s soul in less than a minute with an absolutely thunderous knockout win in the opening bout on the UFC 214 main card. Jones called him “that Russian guy,” but Oezdemir is actually a Switzerland native from a Turkish background. He is now 3-0 in the UFC since making his debut earlier this year and has quickly emerged as one of the sport’s top five light heavyweight fighters. Oezdemir has that X-factor -- knockout power -- that makes him an intriguing matchup for Jones. We never got to see Anthony Johnson fight Jones, but perhaps his training partner Oezdemir will get a crack at him. It’s a fresh fight that fans would no doubt be intrigued by, but still, he’s likely behind Gustafsson at this point. 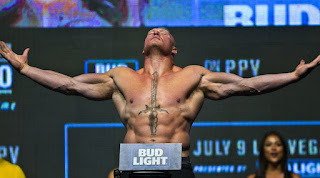 The fight Jones is clamoring for is Lesnar, and that’s the fight most fans seem to want as well, but there is a major obstacle to overcome before the UFC books it: USADA. Lesnar just recently finished his one-year suspension for PEDs but will have to go through the USADA pool for six months before being eligible to fight again. And honestly, it’s no sure thing he passes his drug test. 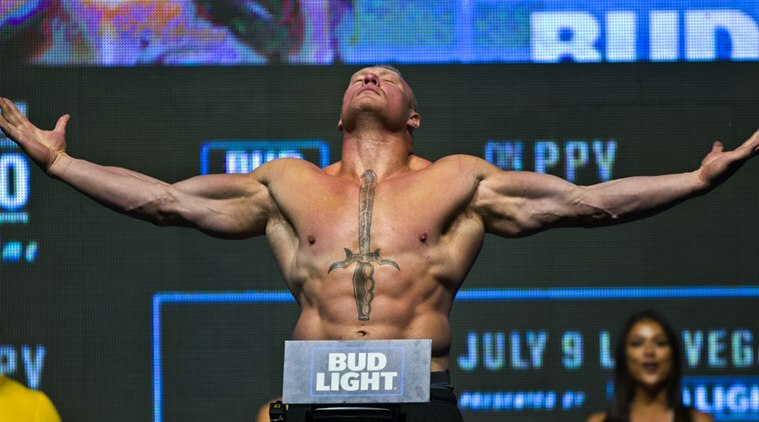 But if Lesnar’s USADA tests do come back clean and the UFC can book him against Jones, then there’s no doubt this is a massive, massive fight that would do gigantic pay-per-view numbers and draw a massive gate. UFC President Dana White said he’s interested in this fight, but said he expects Jones to defend his light heavyweight title while Lesnar remains on the outside looking in due to USADA. Fans have always salivated at the thought of Jones moving up to heavyweight and challenging for a second belt there, and right now Miocic is the champion of that division. Stylistically, Jones vs. Miocic is an intriguing matchup between two wrestling-based fighters with elite striking. The problem is Jones doesn’t want the fight because he believes Miocic isn’t known to the casual viewer. Jones isn’t necessarily wrong about that, but at the same time, Miocic is still a pretty big star these days who has headlined some big cards. And the chance for Jones to win another belt would add interest in and of itself. This fight is the least likely to happen of the four on this list because one of the parties doesn’t want it, but I would love to see these two scrap it out for the heavyweight title, and watch Jones vie for a second belt. The truth is, Jones against anyone is going to be a big fight for the UFC, but the fight that makes the most sense as far as timing goes, as far as what the fans want goes, and as far as weight classes go, is Jones vs. Gustafsson 2. Should Jones win that fight though, the doors open to bigger opportunities at heavyweight. That makes the Jones-Gustafsson rematch the most important fight of his career to date -- assuming that's the direction the UFC goes, of course.